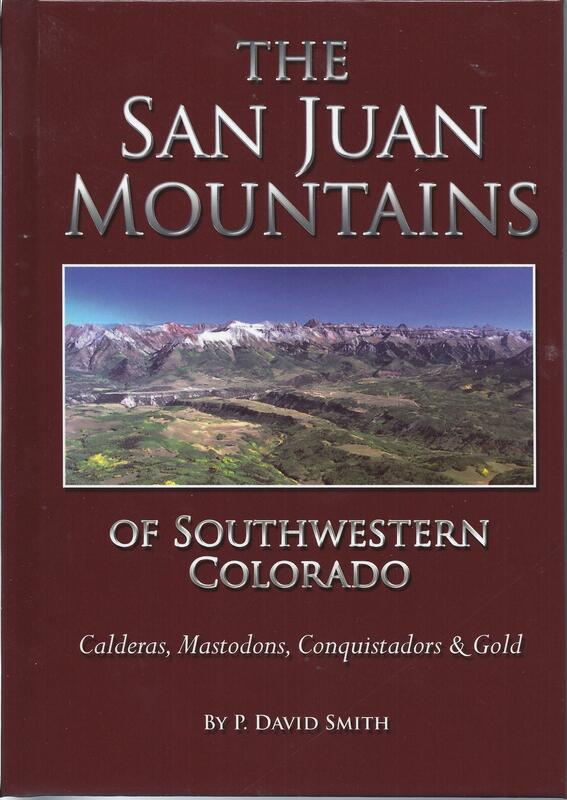 Concentrating on unique events, people whose stories have never fully been told, and a few “new” facts, The San Juan Mountains of Southwestern Colorado - Calderas, Mastodons, Conquistadors, and Gold provides a wealth of information, starting with the true boundaries of Colorado’s San Juans. Through extensive research, P. David Smith destroys many long standing theories about this mysterious range, showing that Paleo hunters lived in the San Juans year round and the Spanish prospected almost continuously in the area but had little luck smelting the gold and silver ores. Smith shows how the Utes went from one of the poorest Native American tribes to one of the richest and points out that the Pueblo Indians (Anasazi) were the first of the historic tribes in Colorado and the San Juans. He also notes that Coronado or his men may well have been in the San Juans, rightfully looking for “Cibolla” amidst what has proven to be extremely mineral-rich terrain. Detailing the beginnings of the historically rich San Juans of Colorado, this work is one that both historians and history-lovers have awaited. It is true history that may be stranger than fiction.